INTERGEO, the 2017 European geodesy, geoinformation and land management conference and trade fair, will take place at Messe Berlin, South Entrance in Berlin, Germany on September 26, 27 and 28. 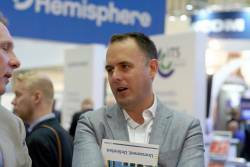 This year’s InterGEO in Hamburg, Germany, featured the latest in geospatial wizardry including new navigation and positioning components and boards not only driving progress in the surveying and mapping industries, but also feeding into the wider GNSS user community. San Francisco-based Swift Navigation came into InterGEO brandishing the all-new Piksi Multi, described as the world’s first affordable multi-band and multi-constellation receiver. The Arab Institute of Navigation (AIN) 2016 Melaha International Conference and Exhibition will take place at the the Concorde El Salam Conference Hotel in Cairo. Concorde El Salam Conference Hote Egypt, on April 25 – 27, 2016. Early bird registration ends February 29, 2016. The incorporation of GNSS and inertial technologies is helping drive an explosion of systems development and applications of unmanned systems. On Tuesday, September 29, Inside GNSS and NovAtel will present a FREE 90-minute web seminar showcasing some of these applications, including the use of remote sensing technologies to assess pest populations in commercial crops and to conduct infrastructure inspections, with the aid of air and ground vehicles. 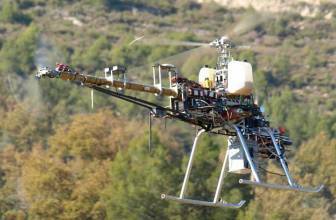 Unmanned aerial vehicles (UAV) are finding increased application in both domestic and governmental applications. Small UAVs (maximum take off weight less than 20 kilograms) comprise the category of the smallest and lightest platforms that also fly at lower altitudes (under less than 150 meters). Designs for this class of device have focused on creating UAVs that can operate in urban canyons or even inside buildings, fly along hallways, and carry listening and recording devices, transmitters, or miniature TV cameras. Trimble Dimensions, the 2014 International User Conference, will take place at the Mirage and Treasure Island hotels in Las Vegas, Nevada from November 3 through 5. Online registration is now open. The deadline for abstracts has passed. "Resilience Navigation" is the theme of the 2014 Arab Institute of Navigation Conference and Exhibition, MELAHA. It will take place at the Radisson Blu Hotel in Alexandria, Egypt on September 1-3, 2014. The deadline for submission of abstracts is May 30, 2014. Papers should be submitted electronically as a pdf file to the email address listed below. 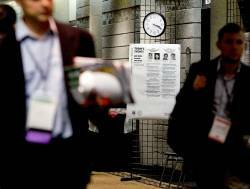 The 2014 European Navigation Conference and exhibition will be held at the World Trade Centre (WTC) in downtown Rotterdam, Netherlands on April 15, 16 and 17, 2014. It will focus on positioning navigation and timing (PNT) technology, innovation and business applications. The technical sessions will cover all aspects of PNT developments and applications. Online registration is open. Early bird registration ends February 15, 2014. The Federal Aviation Administration (FAA) has begun the delayed process of selecting six research and test sites where unmanned aerial systems or UAS will finally be able to spread their wings and, hopefully, launch a new, multi-billion dollar industry. The Federal Trade Commission (FTC) issued a staff report last Friday (February 1, 2013) that suggests companies consider offering a Do Not Track (DNT) mechanism for smartphone users among other measures to protect location privacy.